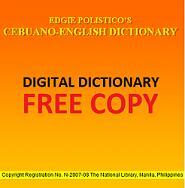 List of English terms that begins with letter A-Z that needs Bisaya meaning and translation. Page 3756 of 3896 pages. You can help those people that are searching for information about these English word, phrases or terms by sharing your Bisaya knowledge in this website. why was i tag here? why what happen ?any news? why won't talk to me? why won't you give him another chance? why would christ crucified be a stumbling block to the jews? why would i say that i like her if i'm not. why would i send it? why would you add me to that chat room? why would you lie to a person you love? why would you not talk to me? why you angry to me. why you are calling me? why you ask? you dont believe me?